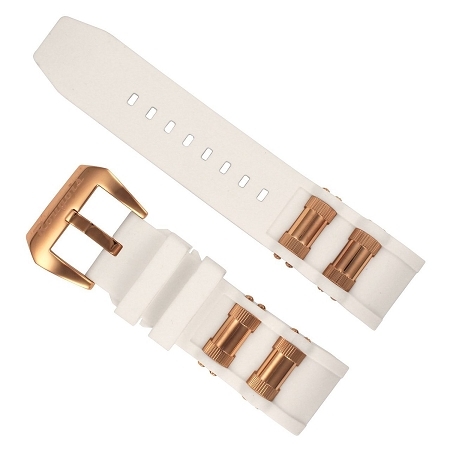 White polyurethane watch band with rose gold stainless steel barrel inserts and a buckle clasp. Strap has eight adjustment holes. 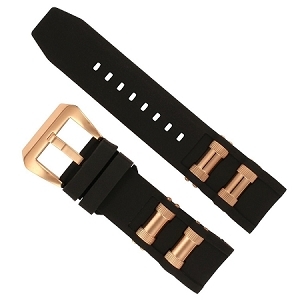 This replacement band will fit the Invicta Russian Diver 1244 watch and Invicta 1090 Russian diver skeleton watch. Please note that the stainless steel buckle has the brand name "Rougois" on it.